However, road markings are really important. They can mean lots of different things; telling you information such as which direction has priority, whether or not you can overtake, and if you can stop at the side of the road, plus numerous other things. The centre broken white line on a single carriageway road (in the middle of the road) signals the divide between carriageways for you and oncoming traffic. Most roads have these markings, however country lanes and residential streets are less likely to have them. Double white solid lines in the middle of a carriageway mean you and oncoming traffic are not allowed to overtake, or to straddle the lines. The only reason they can be crossed is if you are turning into a driveway or road, if a vehicle is stationary and blocking your lane, or to overtake a horse, cyclist or a road works vehicle travelling at 10mph or under. If the line on your side of the road is broken, but on the other side of the carriageway it’s solid, then you are allowed to cross it but the oncoming traffic are not, and vice versa. If you are caught overtaking illegally, then you can face 3 points on your licence and a £60 fine, according to Driving Test Tips. These road markings can be found mainly on dual carriageways and motorways, and are mainly used to help protect traffic from turning right or to separate traffic lanes. 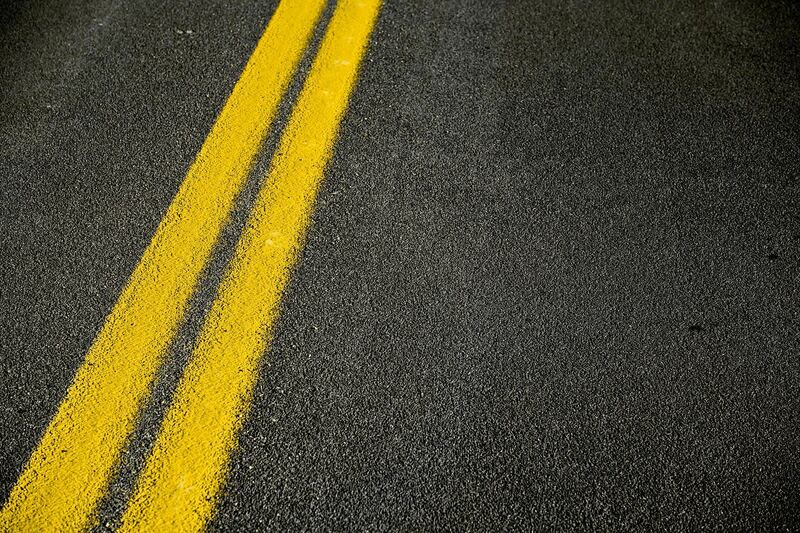 If the marking is bordered by a solid white line then you are not permitted to enter it unless it is an emergency. If, however, it is bordered by a broken white line then you can enter it to overtake if you have to, but it is generally understood that you shouldn’t use it. Driving Test Tips advise that hatched road markings have caused a considerable amount of young drivers to fail their driving tests due to not understanding how to deal with them. According to Driving Test Tips, chevrons are normally used at the entrance or exit of a slip lane on and off of dual carriageways and motorways. Like the hatched markings, if they are surrounded by a solid white line then they cannot be entered; if they are surrounded by a broken white line then they can be entered if it is safe to. These can either be white or yellow in colour, and are known for being placed at school entrances, as well as hospital and police entrances. These can legally be enforced. The Highway Code explains how they are placed to prevent you from parking at these sites, and are to be kept clear. White zigzag lines are found by pedestrians crossings, and are their to help keep pedestrians safe. This again means you cannot park there, or unload on them. Yellow zigzag lines can be parked on only if there is a sign stating the times to do so. If not, then they cannot be parked on. The Highway Code explains how a single yellow line can be parked on, but there will be time restrictions in place. They are normally accompanied by a small yellow sign at the side of the road stating when you can/cannot park there. However, double yellow lines cannot be parked on at any time, unless a vehicle is unloading continuously or you hold a blue badge. With a blue badge you can park on double yellow lines for up to three hours. These are single and double red lines that prohibit loading, parking and stopping. These lines are closely monitored by local authorities and the police, and do carry a hefty fine should you stop on one. They are normally found within cities, on roads that have a lot of traffic travelling along them. These are yellow boxes with a criss cross pattern. These are created to help keep junctions flowing freely at all times of the day, including rush hour. If you stop inside of one you can again be penalised for doing so, according to Driving Test Tips.